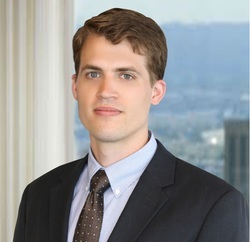 Sam practices employment law, business & nonprofit law, school law, and estate planning. He assists clients with the wide range of legal issues they encounter, including drafting employment policies, guiding clients through layoffs, negotiating and litigating harassment, discrimination, and other employment law claims, advising on corporate governance and oversight, forming new entities, reviewing and drafting contracts, drafting wills, and probating estates. He also guides clients through their real estate and immigration matters. While in law school, Sam interned with Federal District Judge Stephen J. Murphy, III, served as president of his school's Federalist Society chapter, and was Editor-in-Chief of the Journal of Law & Public Policy.